How do I log into the Community with my Canvas account? Technically, anyone can view and search the community. But in order to participate, you must log in. Anyone with a Canvas account can use those credentials to log in. Below are two ways you can log into the community - via web and via mobile. The easiest way to log into the community is from the web. Note: You may need to allow browser cookies and clear any previous cookies for this site before logging in. 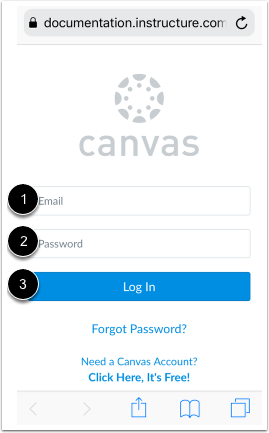 The Canvas login screen requires your login  and password . Depending on your institution, login information may vary. Click the Log In button . 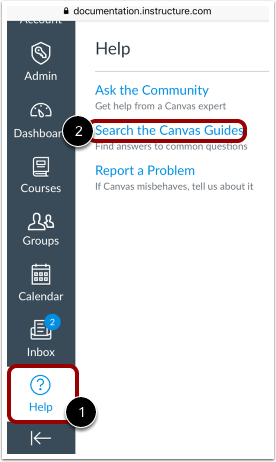 In the Canvas Global Navigation menu, click the Help icon  and then click the Ask the Community link . You can also type https://community.canvaslms.com into your browser search bar. Both options will take you directly to the community. 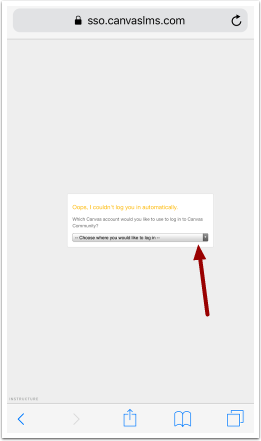 In the Canvas Community, click the Log In link and your single sign on (SSO) should log you in. If prompted with an “Oops” error, select your Canvas URL from the drop-down. The system SSO will automatically log you in or direct you to your Canvas login. 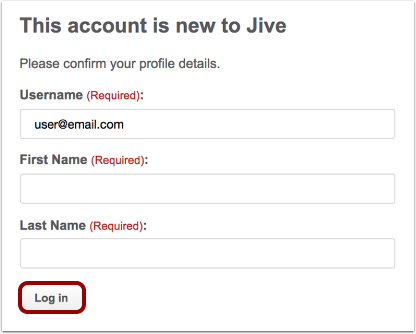 If you are logging into the community for the first time, you need to confirm your profile details. Once confirmed, click the Log in button. If you are logging into the community via mobile, the best way to access is via a mobile browser. Note: Currently logging into your Canvas Mobile App will not automatically log you into the community. Tap the Log In button . 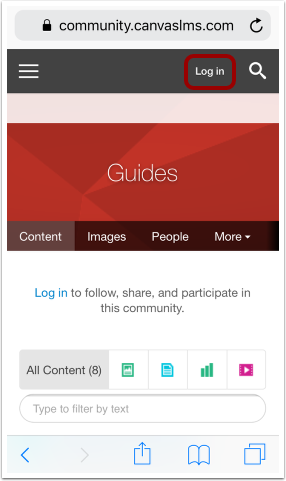 In the Canvas Global Navigation menu, tap the Help icon  and then tap the Search the Canvas Guides link . Tap the Log In link and your single sign on (SSO) should log you in. The system SSO will automatically log you in or direct you to your Canvas login. Then you will be taken to the Community home page. Previous Topic:What are the Canvas Community guidelines? Next Topic:How do I change my Canvas Community username? Table of Contents > User Account & Profile > How do I log into the Community with my Canvas account? This shows a way to report a problem, though I can't see this. Are you able to see the Help menu? If not, your institution may have disabled it. If that's the case, you'll need to contact your school's IT department to report any Canvas-related issues. If you have any other questions, please let us know! "Report a Problem" is missing. Apparently, it must be enabled and there are people now trying to understand who has the rights/permissions to enable this. I know that it's only through this, but it is a huge frustration. Is there no other way? 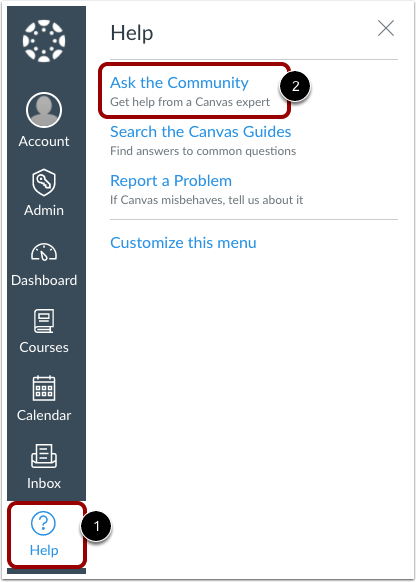 Canvas Administrators at your institution can rename, remove, or add links in the help menu in Canvas to customize it. It looks like your school has chosen to remove the Report a Problem link and add a link to their own campus support team. I would recommend reaching out to them if you need to report a problem and to ask about the reasoning behind removing the Report a Problem link from the Help menu. I hope this helps! I know it's only been a few days since our last response, but I wanted to see if you were able to reach out to your institution's canvas support team. If you still have questions that you think we can help with, please let us know. In the meantime, if we don't hear from you we'll assume you found the help you needed and will archive this comment thread in several weeks. We archive comments periodically to keep the guides tidy and updated. We're always happy to help, though, so please let us know if you do have questions. Bula I tried to login and I couldn't excess through. I would love to be part of this as I know I will ask questions if i need help or to know members well. Since you were able to leave a comment, you are already logged in to the Canvas Community. If you were trying to access your Canvas Course, make sure you are logged in at your school's Canvas site. 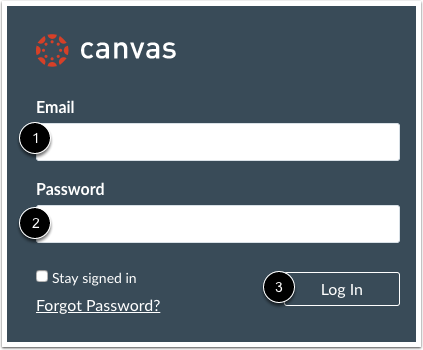 You can get help with logging in here: How do I log in to Canvas as a student? If you're still having trouble logging in, I recommend reaching out to your institution's IT Support team or to your instructor.